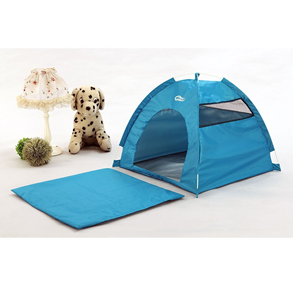 One-Touch Portable Folding large Dog House tent for indoor and outdoor use. 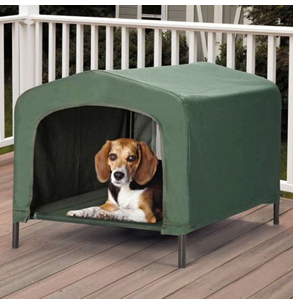 Perfect size 19″ x 19″ x 17.5″. 2 colors available. Waterproof material with UV protection (180 T UV coating). Allows your pet to enjoy outdoor outings such as camping and other outdoor activities. No tools for assembly needed. 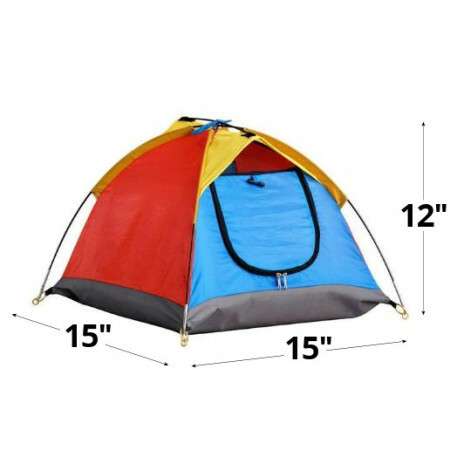 Easier to set-up than a typical human sized tent. Stakes into the ground (4 corners). Lightweight and compact. Up in seconds, down in a flash. Packs into storage bag. 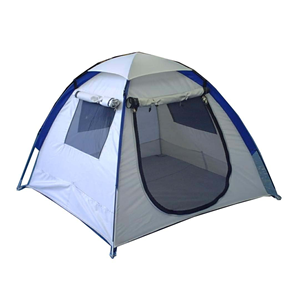 Keeps dogs cool in the hot sun (180 T UV coating). Helps protect your pet from bugs. 3 side Mesh air vent for circulation. For one or two small pets. 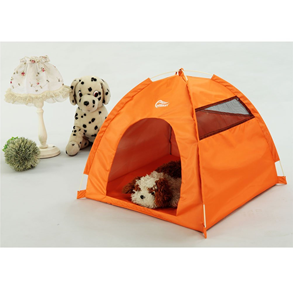 One-touch portable folding dog house tent for indoor and outdoor use. 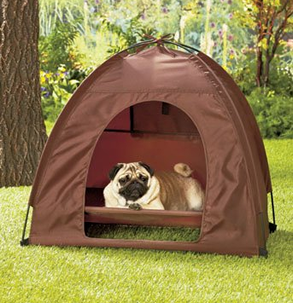 Allows your pet to enjoy outdoor outings such as camping and other outdoor activities. Also great for indoor use.